The fragrance industry has seen two years of disappointing sales, however, according to a Mintel report, 2017 sales appeared to be promising for the sector. The popularity of body sprays, as well as innovations in the perfume industry, have helped drive sales over the last year. Perfume purveyors here at OnBuy have decided to consider market trends and reveal to you the hottest women's fragrance crazes for the new year. Without a doubt, the biggest trend to invade the perfume scene in 2017 was genderless perfume. Calvin Klein was at the vanguard of unisex scents when they released CK one in 1994, but other brands appear to be finally following suit. Research discovered that in 2017, 70% of women's top-voted perfumes contained masculine woody or spicy notes. Shirking gender norms has been largely accepted in other areas of society, with Zara's ungendered clothing range being just one example of this, and fragrance appears to be no exception. Many women are wearing gender neutral scents such as the uber-popular Black Orchid by Tom Ford, with others opting to wear traditionally male scents such as Viktor and Rolf's Spicebomb. 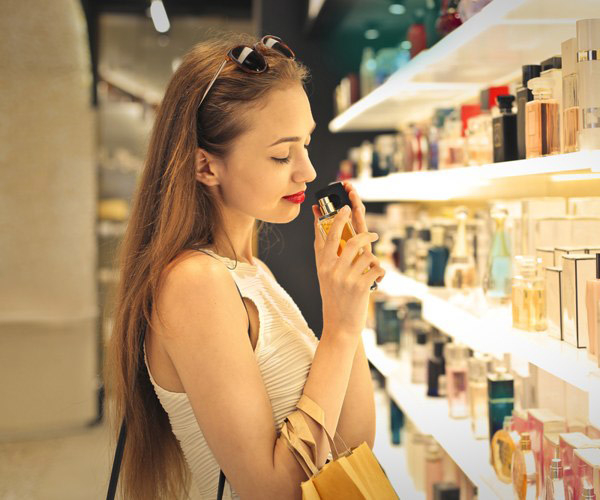 "Consumers remain price-savvy and high-end fashion brands increasingly face competition..."
Spendthrift shoppers will be shifting from premium scents to high-street brands in 2018, according to research. Roshida Khanom, Associate Director for Mintel's Beauty and Personal Care department (BPC) has stated that "consumers remain price-savvy and high-end fashion brands increasingly face competition from beauty and high street fashion brands." With brands such as New Look, Zara, H&M and Next bringing out popular perfume ranges, the fragrance market looks set to change. 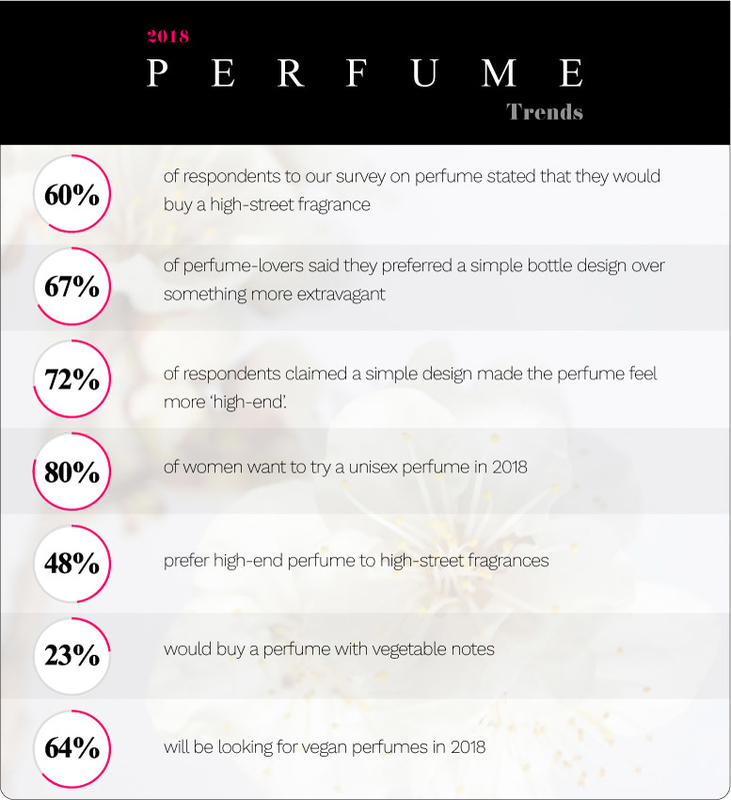 Indeed, over 60% of respondents to our survey on perfume stated that they would buy a high-street fragrance. Lidl's very own scent, Madame Glamour, has even been compared to the ultra-luxurious Chanel range! Consumers aren't ready to turn their back on the likes of Chanel, Dior or YSL just yet, though. John Lewis has witnessed a 35% year-on-year increase in bottles of perfume with a hefty price tag- namely over £100. 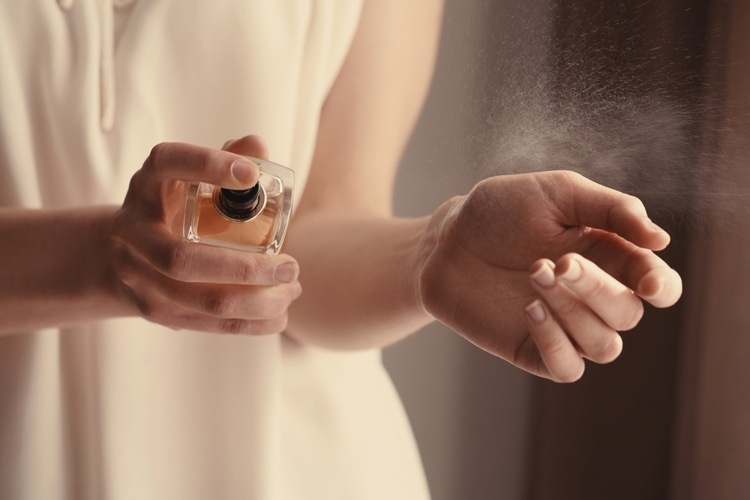 Matt Leeser, Head of Buying for Beauty & Wellbeing for John Lewis revealed that there has been a "surge in customers looking for a unique and different scent wanting to upgrade to new, interesting fragrances at the more premium end of the range." And this tendency looks set to continue well into 2018. With the rise in simplistic bottles with clean lines, you may be wondering whether the days of opulent perfume flacons displayed on dressing tables are gone. Whether you want to buy Jo Malone, Diptyque or the beauty blogger's cult brand Byredo, it appears this trend will be staying put in 2018. Our survey revealed that 48% of perfume-lovers said they preferred a simple bottle design over something more extravagant, with 67% of respondents claiming it made the perfume feel more 'high-end'. Perhaps a more surprising addition to our 2018 hotlist is the possibility of vegetable notes in perfume for 2018. Rhubarb seems to be the scent du jour, being a big hit in both Thierry Mugler's 2017 fragrance Aura and Hermes' Eau de Rhubarbe, where rhubarb takes centre stage. Perfumer Marie Salamagne has indicated that she feels the future holds a trend for "vegetable fragrances". Other popular fresh and 'green' vegetable-based notes include cucumber, used in Marc Jacobs' Cucumber Splash, and tomato leaf, used in Jo Malone's crisp fragrance Wild Strawberry & Parsley. This could well take-off in 2018 as, according to a Mintel report, "women are more experimental" with their perfumes than ever. "...'women are more experimental' with their perfumes than ever." Continuing the 'clean' and healthy perfume trend is the desire for cruelty-free, vegan perfume. The rise in veganism is to account for this entry, with many consumers not even aware that their perfumes may contain ingredients tested on animals. A general rule is, if the product is sold in China then, by law, it has been tested on animals. For perfume shoppers looking to avoid this, stick to brands such as Le Labo and Penhaligon's, or fragrances from Lush and The Body Shop. You will also want to avoid perfumes containing animal-derived ingredients such as amber or civet. Roshida Khanom states in her Mintel report on the fragrance industry that there is a high interest in "fragrances with added benefits". For example, scents that have skincare benefits or even fragrances that help enhance your mood. Khanom goes on to say that this is "further driving innovation [and] could encourage greater spending as well as introducing new usage occasions in the sector." However, our research has also revealed that some things do not change when it comes to the perfume sector, with the neck and wrists remaining the most popular areas to apply scent.